has resulted in high success rates and how you can get started. After the video you will be able to request a free consultation. When Should You Consult With Us? Send us an email to schedule a Free Consultation with our Practice. A member of our medical team will review your history so that together you can determine your need for our services. If you are a doctor requesting a consultation, click here. Consulting centers that have requested a consultation from Braverman Reproductive Immunology. Endometriosis can interfere with pregnancy and must be considered prior to fertility / immunological treatment. Undiagnosed or incorrectly treated PCOS can cause multiple miscarriages and IVF complications. 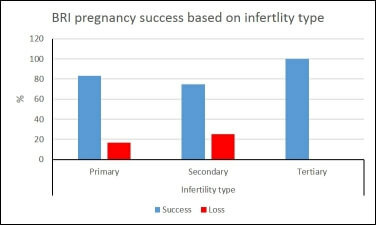 Elevated FSH levels have been noted in cases of recurring pregnancy loss and multiple failed IVF cycles. We’ve had great success treating patients with a range of conditions that led to suspected poor quality eggs. Positive ANA is a sign that the immune system plays an important role in recurrent pregnancy loss. Autoimmune disorders cause the immune system to attack and destroy healthy tissue and have been linked to unexplained infertility. Stillbirth is distinct from miscarriage, and requires diagnostic testing to determine underlying cause. We maintain the highest success rates treating patients with multiple miscarriages, including complex cases. We believe ASD and infertility complications may have the same underlying cause. Preeclampsia, Fetal Growth Restriction, Preterm Labor and Placental Abruption. Failed IVF cycles can be caused by many factors, including non-immune and immunologic causes. Reproductive immunology can offer solutions to infertility and treatments for underlying causes of miscarriages. 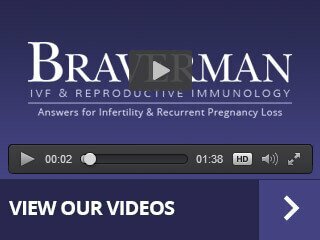 View sample patient reports from Braverman IVF & Reproductive Immunology. Dr. Braverman has managed IVF cycles for thousands of patients over the past 25 years. Braverman IVF & Reproductive Immunology runs a premier donor egg program. Our facility has maintained some of the highest success rates while treating the most complex cases. We have the privilege of treating patients from across the U.S. and the world, and offer consulting services. We assure our patients they will not suffer this most common reason for a failed donor egg cycle. Explore causes of IVF failures with normal PGD/high-quality embryos. We have developed our formula through years of research and clinical practice. Is endometriosis without symptoms responsible for your failures? Find answers to common questions about working with our team! Learn more about insurance and financing options for your treatment. Many women who experience recurrent miscarriages feel like their dreams of having children and raising a family have ended. If you are one of the millions of women who have had multiple miscarriages, Dr. Jeffrey Braverman of Braverman IVF & Reproductive Immunology can help you. Our practice is a specialty fertility clinic treating patients internationally. We treat all causes of recurrent pregnancy loss and perform all necessary in vitro fertilization (IVF) and intrauterine inseminations (IUI) procedures. We also continue to care for and monitor our patients through their entire pregnancy. We have the experience, resources, and a passion to help patients prevent miscarriage. Our UNIQUE expertise in Infertility, Immunology, as well as, High-Risk Obstetrics gives us the ability to offer advice to you as well as your treating physician throughout your pregnancy. By performing Skype or telephone consultations, we can aid patients around the world who cannot travel to our facility and will guide their treatment through their own treating doctor as well as perform all necessary laboratory tests anywhere in the world. There is no other clinic in the world that has expertise in all these different areas. ANY stillbirth (a pregnancy loss after 20 weeks). Although many patients are told there is no explanation for their stillbirth, the majority of these "unexplained" stillbirths are most likely due to undiagnosed immune issues. It is "rarely" caused by a cord around the neck! ANY patient with an autoimmune disease that has experienced an early pregnancy loss or late pregnancy complication (such as preeclampsia). Anyone that has had Preeclampsia, Placental Abruption, or Pre-Term Labor(which are strong signs of an autoimmune issue) in a prior pregnancy followed by ANY miscarriage or other reproductive failure. Birth of a son followed by multiple pregnancy losses. Patients that have a diagnosis of PCOS and have experienced multiple miscarriages or late pregnancy complications. PCOS has a strong negative effect on the immune regulation of pregnancy. Failed IVF cycles despite the transfer of good quality embryos. Under the age of 40 and told you may need donor eggs or have unexplained poor egg or embryo quality. ANY patient that has a child on the Autism Spectrum and is trying to have another child especially if you have experienced a miscarriage at any time (as this could be a sign of known or underlying autoimmune issues which if untreated may play a large role in the development of Autism as well as miscarriages). Failure of an IVF cycle with PGS or CGH normal embryos. 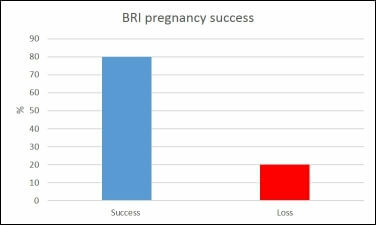 With our treatment protocols, patients with five or more miscarriages have an outstanding 80% chance of carrying a successful pregnancy. Learn about our full service IVF & Egg Donation Program. Our facility will perform diagnostic testing to determine the miscarriage, blighted, early miscarriage, failed IVF, missed abortion, spontaneous abortion, or even still births whether due to immunologic or non-immune causes. Recognized by doctors and patients around the world as one of the top infertility treatment centers. Voted #1 fertility clinic in Long Island for the past three years! 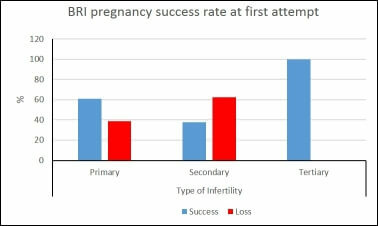 Highly successful pregnancy rate treating all causes of recurrent pregnancy loss. Personalized patient care for more than 20 years. State-of-the-art diagnostic, medical and surgical equipment. Groundbreaking research in the field of Reproductive Immunology! Two convenient locations – New York City or Woodbury Long Island. The practice is a specialty fertility clinic treating patients internationally. Our unique diagnostic testing can identify hundreds of treatable reasons for pregnancy loss. Our advanced immunology panels are custom designed and the most advanced testing available! The most complicated IVF cases from around the world come to our center, why shouldn't you? Dr. Braverman and our caring team understand how frustrating and emotionally stressful failing to have a full term pregnancy can be. That is why we strive to understand what is behind the medical problems for each patient we treat so that we can present solutions. We know you can be helped and will plan a comprehensive medical treatment to help you achieve your goal of having a child and raising a family. Whether you can come to our clinic in Manhattan or Long Island or even through working in coordination with your treating OB/GYN, our facility will develop a treatment plan and recommendations for your care. For over 25 years, he has treated patients who have suffered from multiple miscarriages and been unable to carry a child to full term. With his vast experience, he has helped thousands of women with their IVF and IUI cycles and maintains one of the highest success rates in New York for these procedures. His practice has been voted the Best Infertility Practice on Long Island for the past three years in a row. Contact Dr. Jeffrey Braverman of Braverman IVF & Reproductive Immunology today to find out more about treatment for your recurrent miscarriages.